Critical End! 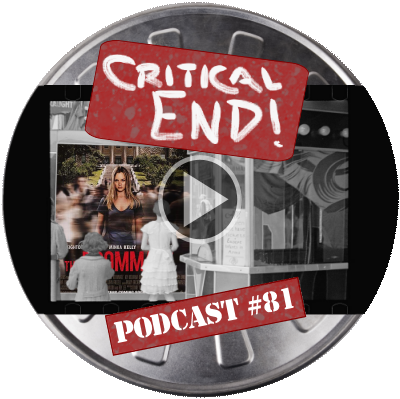 (The Podcast) #81: The happy family | Critical End! I call top bunk! REVIEWED: The Roommate. PLUS: Ghosts of roommates past. This entry was posted on Friday, February 11th, 2011 at 6:05 amand is filed under . You can follow any responses to this entry through the RSS 2.0 feed. Both comments and pings are currently closed. Oh man, “P-Stag.” I had forgotten about that abbreviation. Good callback, sir.